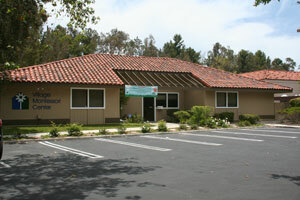 Village Montessori Center is under new ownership beginning Spring 2011. Village Montessori Center is a new Montessori school in the Mission Viejo, CA area providing high quality private pre-school Montessori education for infants and pre-school aged children. Serving the towns of Mission Viejo, Lake Forest, and Laguna Hills, Village Montessori Center offers a progressive Montessori environment. Inspiring enthusiasm for learning, we encourage pre-kindergarten children to reach their fullest potential. As a school focused on the learning process, we strive to develop the whole child with opportunities in language, math, science, music, social interaction and much more. With our Montessori approach, parents can rest assured that the safety and care of their child is being met in a prepared environment, with dedicated staff, and opportunities to grow as a learner. Becoming a part of the Village Montessori Center is a whole family experience. We believe it is a true joy watching every child emerge from our school as a capable learner and independent thinker. It all begins with the kind of educational foundation only Montessori can give. Montessori is the answer! This fantastic video from Trevor Eissler does an amazing job of explaining exactly what makes Montessori special. Fun to watch! Please call 949-837-8518 to schedule your tour today!